STAMFORD, CT — February 19, 2018 — The Stamford Public Education Foundation (SPEF) today announced that it has received $12,000 in funding from Near & Far Aid in support of its nationally-recognized Stamford Mentoring Program during the 2017—2018 school year. Southport-based Near & Far Aid strives to eliminate the causes and effects of poverty in Fairfield County by finding and funding programs that seek to achieve lasting change, such as the Stamford Mentoring Program. According to the National Mentoring Partnership, which sites “The Mentoring Effect,” young adults who are at risk for falling off track but have a mentor are 55% more likely to enroll in college; 78% more likely to volunteer regularly; and 130% more likely to hold leadership positions. Near & Far Aid’s support will help SPEF expand and enhance its flagship mentoring program, which it delivers at the elementary, middle, and high school levels. In the 2016—2017 academic year, SPEF provided mentoring to 884 students in grades 3 through 12 across 16 Stamford Public Schools. At the elementary school level, the program integrates community service with instruction and reflection to enrich the learning experience, teach civic responsibility, and strengthen communities. 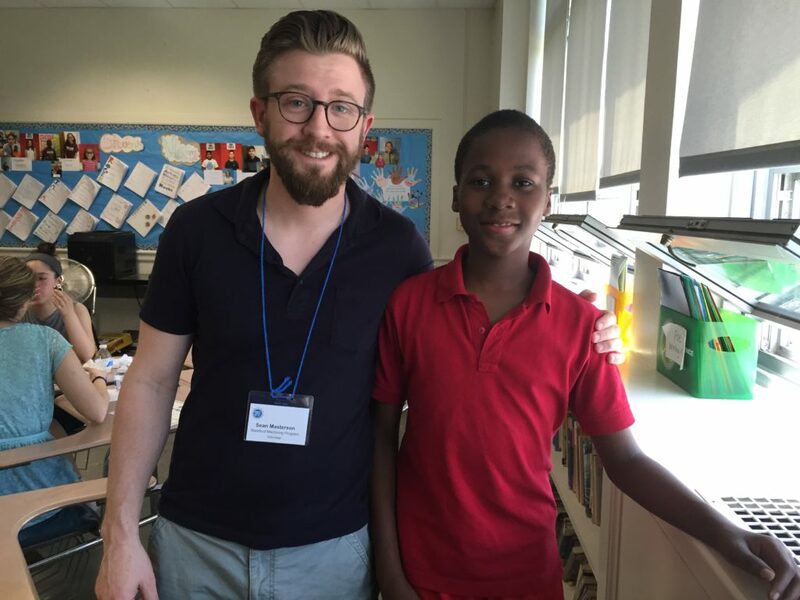 At the middle school level, SPEF partners volunteers with students in need of additional academic and/or social support for weekly one-on-one mentoring sessions. At the high school level, the program focuses on preparing students for college, career training, or full-time employment. “Working together with generous community partners such as Near & Far Aid enables SPEF tocontinue delivering educational programs and resources that educate and empower children in the Stamford Public Schools,” said SPEF CEO Matthew Quinones.